14oz aerosol can. 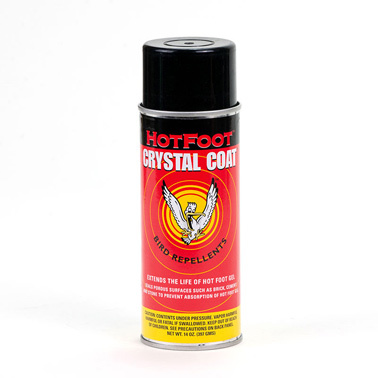 Crystal Coat is used in conjunction with Hot Foot Repellent Gel to seal porous surfaces onto which the gel is to be applied. It is also sprayed on the gel to protect it from dust and dirt.